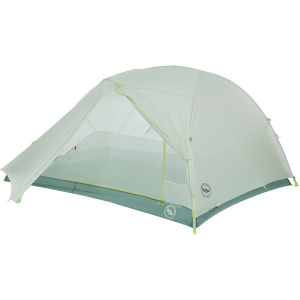 Platinum tents are a part of the Crazylight Collection from Big Agnes. 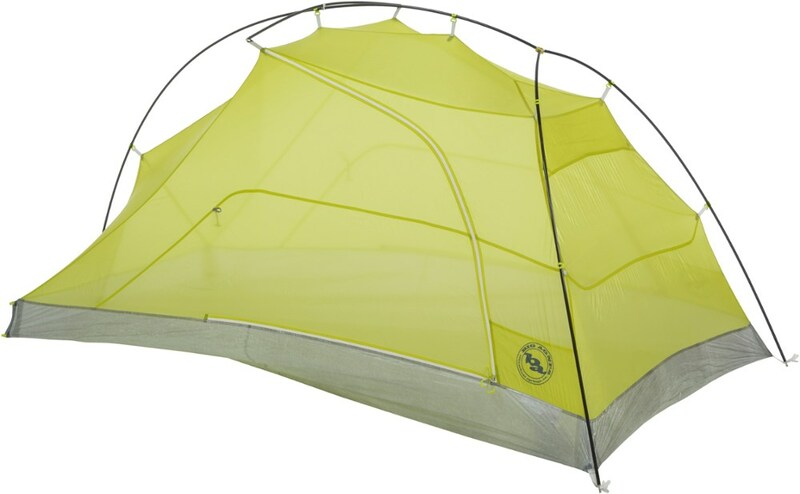 Weighing under two pounds, the Tiger Wall 3 Platinum Tent certainly lives up to its crazylight status. 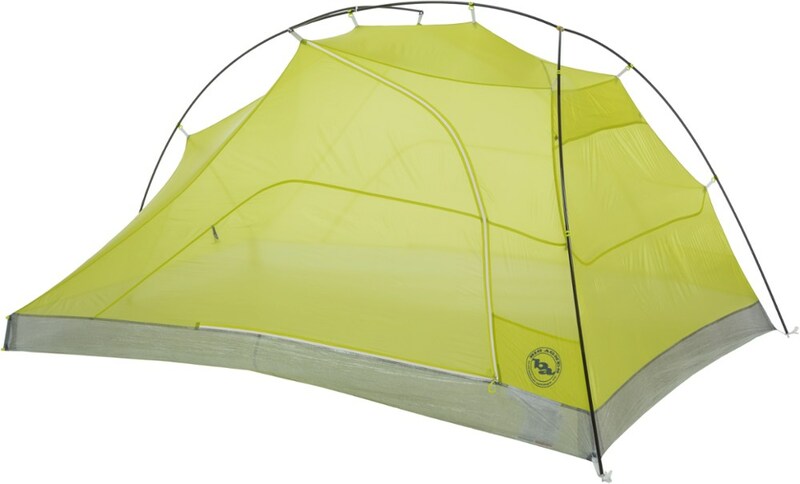 The tent features a silicone treated nylon fly and floor to keep wet weather out when you're hunkered down for the night, while steep walls increases space without adding bulk to maximize space within the tent, so you can stretch out and play a game while you wait out the storm. When you're ready to break camp, the DAC aluminum Featherlite poles keep the trail weight under three pounds for comfort when you're logging long miles on a daily basis. The Tiger Wall 3 Platinum might shave a pound off the original Tiger Wall tent, but that doesn't mean Big Agnes skimped on features. It still has the same dual door and vestibule designed with Quick Stash door keepers to keep open doors. The Low Vent maintains ventilation with the fly on. The interior pockets are even the same. The only difference a ridiculously lower weight. 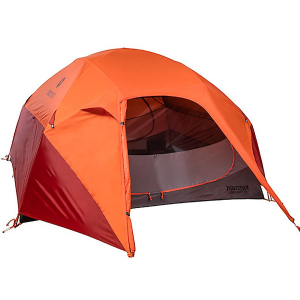 The Big Agnes Tiger Wall Platinum 3-Person Backpacking Tent - The Big Agnes Tiger Wall Platinum 3-Person Backpacking Tent takes two-door tent life to a crazy light new level. With tons of extras you love, It's quick and easy to set up in the dark, in a storm, or by yourself. For weight-conscious backcountry travelers, this is the ultimate overnight companion. Big Agnes Camp & Hike Tiger Wall 3 Platinum Tent - 3 Person 3 Season Gray/Blue TTWP319. Two doors two vestibules free standing and with tons of extras you've come to love on our full-featured tents - like pre-cut guylines color-coded webbing buckles and storage pockets. It's quick and easy to setup in the dark in a storm or by yourself. 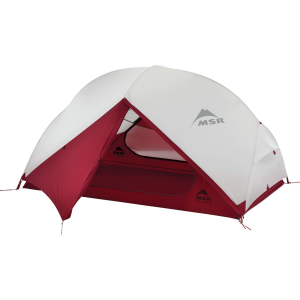 For weight-concious backcountry travelers this is the ultimate overnight companion. 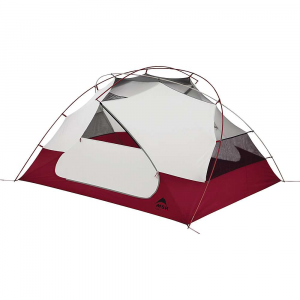 With ultralight materials and simple architecture, the Big Agnes Tiger Wall Platinum 3 tent is an ultralight overnight companion that's quick and easy to set up in the dark, in a storm or by yourself.